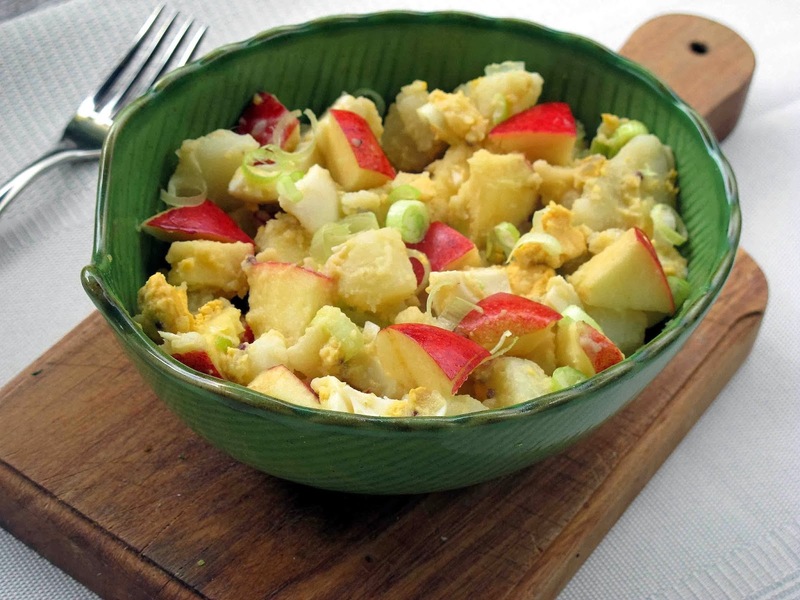 It was inspired by a traditional Dutch potato and apple salad which Rod's Mum used to make and which went especially well with the Christmas ham. It's a great barbecue salad but could be made all year round. The potatoes have a better flavour if you boil them whole. When done cut them into large cubes. Wash the apples.There is no need to peel. Cube them. Peel and chop the hardboiled eggs. Mix all of these gently together in a salad bowl. Add the Wasabi Vinaigrette and stir in. Sharpen the flavour with a tablespoon of lemon juice . Keep tasting and adding up to the juice of half the lemon depending on how sweet/tart the apples are.